Take your Arcade Party to the next level with our Virtual Reality Rentals. 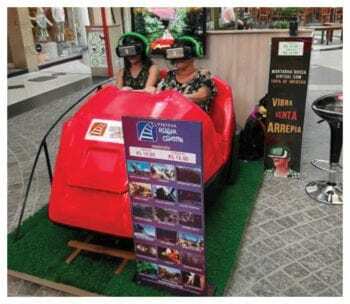 We are exited to share with you that we have the latest in Virtual Reality Arcade Games Rentals. Introducing the VR Extreme Machine. 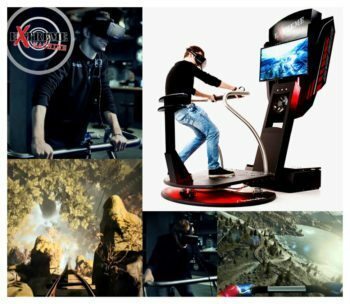 Our new extreme machine is a virtual simulator with an Oculus rift or HTC Vive headset, giving you extreme sensations. The innovative approach allows the user to see 360 degrees around him while in the virtual world. You become the joystick. Step up and take your virtual world experience to a whole new level because you aren’t going to want to miss this. Located in Maryland but we deliver, setup and operate anywhere from New York to Florida and East of the Mississippi River.